The progress of the neurosciences (or brain sciences) has not been stranger to the economics. In fact it is thanks to it that it has been possible to inquire the physical basis of several of the discoveries of behavioral economics, being born in this way a new branch for the economic study: the neuroeconomics. As well as in behavioral economics, with this new approach several studies it also has been conducted with very interesting results and conclusions. Thus we have, for example, the famous study by Sanfey, Rilling, Aronson, Nystrom, and Cohen (1), who applied the famous “ultimatum game” to 30 people connected to equipments of registration the neurological activity, in order to verify the existence of significant differences in the subjects facing to different stimuli generated by determined offerings. It should be noted that the selected individuals participated in several rounds of the game, with human opponents in 50% of cases and computers in the other 50%. The results were very interesting. They showed that determined regions of the brain were activated disproportionately when individuals were receiving "unjust offers" of humans compared with what happened with the just offers of humans and all the offers of computers (just and unjust). Additionally, this disproportionate activation of a brain region was correlated to the decision to reject the injust offerings, which would demonstrate that exists a physical basis in economic decisions and that these are not free of elements of emotional nature. A very important sub-branch of neuroeconomics that is closely related with the issue of consumer rationality is that of neuromarketing. This can be defined as an advanced discipline that studies the brain processes that influence the behavior and decisions of people in the areas of action of traditional marketing: design of products and services, communications, prices, positioning, and sales channels. 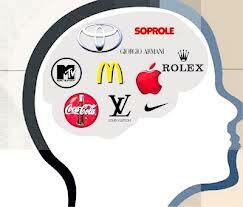 The contributions of neuromarketing were crucial. As Nestor Braidot says in his interesting book Neuromarketing: why your customers sleep with another if they say they like you?, this new discipline “allowed to confirm a set of assertions of traditional marketing, such as the emotional advertising effectiveness in the retention of customers or the fallacy of attributing to the consumer a rational behavior” (2). Thus, it was found, for example, that “the so-called “purchase button” appears to be in the pre-frontal cortex half. If this area is activated, the customer is not deliberating, is determined to acquire or possess the product” (3). Obviously this is very far of consumer of the orthodox economics which deliberates very rationally about what is the best option given his restrictions and preferences. But perhaps the most interesting part of neuroeconomics is the study of the characteristics of each one of the hemispheres of the brain and how they influence in our economic decisions, mainly those of purchase. As we know, the human brain has two hemispheres: left and right. The left hemisphere is primarily logical and analytical, which we use for verbalize a speech prepared or solve math exercises, processes the information sequentially and is related to linear thinking. The right hemisphere, by contrast, is primarily creative and synthetic, which we use for make a work of art or when we fell in love, processes the information holistically and is related to creative thinking. Well, it is evident that the left side of our brain corresponds more with the analytical activity of homo economicus. However, and unfortunately for the orthodox economics, the role played by this hemisphere in our economic decisions is decreasing as the advertising and other forms of influence designed, developed and perfected by marketing are all targeted primarily toward the right side of our brain making that our purchasing and consumption decisions are increasingly impulsive and emotional. Thus, it “attacking” directly to the right hemisphere, is achieved prevent that the rational and critical attitude of the left hemisphere pass to the fore, and are generated in the individual thus a set of consumer habits and preferences simply irrational. 1) A. Sanfey, J. Rilling, J. A. Aronson, L. E. Nystrom and J. D. Cohen, “The Neural Basis of Economic Decision-Making in the Ultimatum Game”, Science, vol. 300, 2003, p. 1755. 2) Nestor Braidot, Neuromarketing: why your customers sleep with another if they say they like you?, Gestion 2000 Press, Barcelona, 2009, p. 11. 3) Nestor Braidot, Neuromarketing: why your customers sleep with another if they say they like you?, op. cit., p. 15. 4) Néstor Braidot, Ibid, p. 35.